Dartmoor Thatch is run by Adam Hyne from Moretonhampstead. Adam is a member of both the Devon and Cornwall Master Thatchers Association and The National Society of Master Thatchers. Entry into both the Association and the Society is through strict peer review, where the highest standards of craftsmanship have to be demonstrated. Adam served a five year apprenticeship with a local Master Thatcher before setting up his own business in January 1992. He has over 30 years experience covering all types of thatching work. All contracts are completed efficiently with the team of skilled thatchers working with Adam who are either in the MTA, the NSMT, are working towards entry or in an apprenticeship. All our thatchers offer top quality craftsmanship with superb customer service. 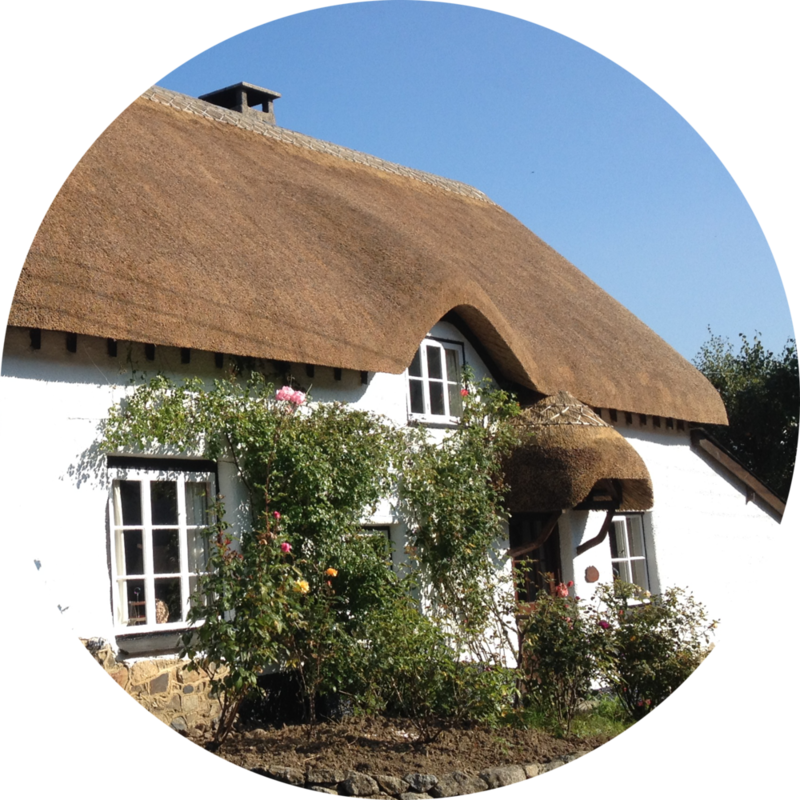 Dartmoor Thatch offers a prompt and reliable service on large or small contracts for homeowners, builders, architects, and commercial property owners. We are also flexible enough to take on smaller jobs such as porches, small ridges and difficult repairs. Dartmoor Thatch is fully insured and abreast of current health and safety. We carry out relevant risk assessments and have an upper tier waste carriers licence. Alongside thatching Adam also works with his wife Claire distilling at Papillon Gin.